So you’ve started a business. Congratulations! I see a lot of business owners launch a new business and immediately start marketing themselves…despite not having several essential tools in place. When you rush to market your business without doing your homework ahead of time, your efforts will fall flat. You won’t attract the right clients/customers and you won’t generate the publicity and income that you’re looking for. Marketing is not an overnight fix. It’s a long-term investment and one that requires planning and thought before executing. Problem is, many business owners don’t know what planning to do in order to successfully market their business. They’re overwhelmed and not sure where to start. Not to mention there are hundreds of people online telling you that you need to buy this fancy tool and that fancy tool in order to be successful. Worry no more. I’m going to break down the six things you NEED to have in place before marketing your business (and none of them involve paying thousands of dollars to throw things at a wall and see what sticks). #1 - Have a plan. Every business owner has goals they need to meet this year. Marketing is a great way to meet those goals – IF you have a plan. Every single business, no matter what you do or what industry you’re in, needs a marketing plan. If you don’t have a plan to market your business, then you may as well not market at all. What does a good marketing plan look like? I recently hosted a FB live on this very topic. A good marketing plan is thorough and detailed. It leaves nothing to chance. I understand the desire to market your business as quickly as possible so you can start bringing in clients and revenue. Trust me – without a plan you’ll be worse off than when you first started. Don’t set your business up for failure. Give it the investment it deserves by having a plan in place for how you’re going to connect with your audience and entice them to purchase your products and services. #2 - Know your audience. Speaking of audiences, make sure you have one. You may think you know your target audience, but most business owners I see don’t have one in place. They’re casting too wide a net and attracting all the wrong people. This is the #1 killer of all marketing efforts. When you waste time marketing to everyone, you end up marketing to no one. People crave personalization. They want to know that they are heard. They want to feel like the product or service they’re buying was created just for them. You cannot personalize your marketing messages if you’re trying to reach everyone. I realize it may be scary to scale down your audience. It may mean that you’ll lose out on clients and income in the short-term. When you have a targeted audience, the long-term payoff is huge. You’ll attract more people who actually want to buy your services – meaning a higher return on investment on your marketing efforts and less time wasted on people who never intended to buy from you in the first place. Not sure how to narrow down your target audience? I just opened a FREE, five-day virtual challenge to help business owners find their target audience. This challenge is a game-changer and it’s completely free. Once you know your audience and get inside their heads, you’ll have a steady queue of people who want to work from you and you’ll always know where your next paycheck will come from. #3 - Set a budget. I know, everyone hates the “b-word.” However, a budget is vital to any successful marketing plan. If you don’t know how much you have to spend on marketing, then how can you expect to get anything done? Do yourself a favor and set aside money specifically for marketing. I know there are a ton of upfront costs associated with starting a business and it may be tempting to spend your marketing money elsewhere. Think of this way: purchasing fancy tools to run your business mean nothing if you have no clients or customers. How much should you set aside for marketing? Marketing budgets for small businesses are typically 7 – 8% of total projected revenue. Obviously when you’re a new business you’re not making any revenue so it may be difficult to budget for marketing. I recommend setting aside a specific dollar amount that you want to spend on marketing. Once you’ve done that, then prioritize which tactics you’re going to focus on this year. If you already have a marketing plan (and you should), then focus only on the tactics in that plan. Do not spend money anywhere else, at least for now until you see the results from your initial efforts. #4 - Determine your resources. Now that you know your budget and you’ve prioritized your marketing activities, you’ll need to decide whether you have the resources to handle marketing yourself or if you can invest in hiring an outside professional to manage things for you. Or maybe it’s a mix of both and you need someone to consult with you on strategy and provide accountability and support as you implement your plan. Whichever path you choose, it’s important to determine it early on. 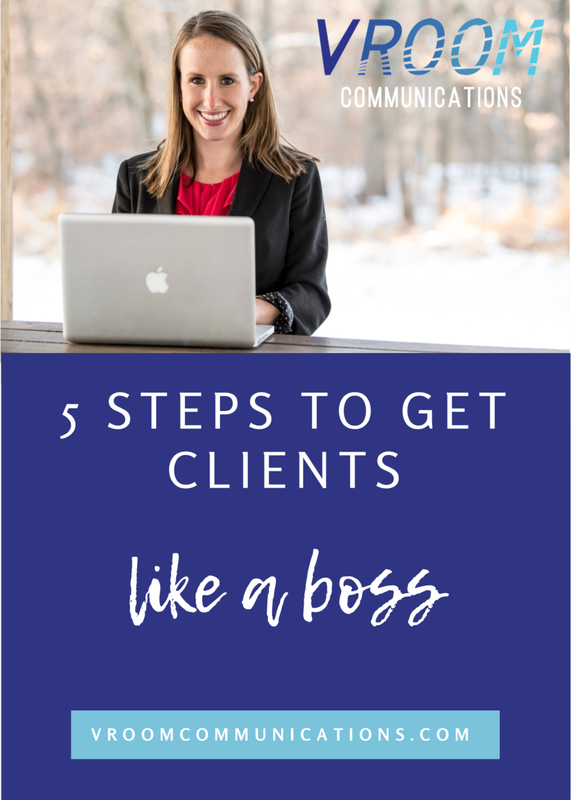 If you decide to work with an outside professional, you’ll want to bring that person into the fold early on so that they can help you come up with a plan and a strategy that will meet your goals this year. When you’re just starting a business, I highly recommend working with a professional consultant or agency. It’s a lot easier to identify challenges or roadblocks at the beginning of your marketing plan then halfway through. Getting a professional involved to create a roadmap will ensure that you don’t waste valuable time and money trying to correct your mistakes down the road. A brand is a visual that sets your business apart from the rest. This includes your logo, colors and fonts you use on your website and marketing/sales materials and a tagline or phrase that showcases what you offer. This is a critical step that many business owners gloss over. A brand is incredibly important to the success of your marketing efforts. A strong brand positions you as a true professional and expert in your industry. It draws your target audience in and helps them become more familiar with your business. It also builds trust and loyalty, which are critical to driving sales. Not sure what brand assets you need for your business? I recently spoke with the lovely Sarah Masci from Bracken House Branding about the brand assets EVERY business needs. Watch the broadcast here. #6 - Create a website. A website is the digital storefront for your business. And in today’s world, you absolutely need one. Your website is what all your marketing efforts point toward. The goal of your marketing plan is to generate interest for your business and get people to your website to learn more about what you offer. Once they learn more, then you lead them into your sales funnel and hopefully close the deal. Nowadays websites are very affordable to create. My two favorites are Wordpress and Squarespace. With Wordpress, there are added costs for plugins and hosting the site, but you often have more flexibility and customization over your design. Squarespace doesn’t allow for much customization, but is very user friendly (for those who are quick learners or don’t have the budget to keep a web designer on speed dial to make minor edits). Whichever platform you decide to use, be sure to hire a website designer to create the site for you. Don’t try to go it yourself. Web designers know which designs will attract the right people and keep them on your site longer. This is not an area where you want to cut corners. Hopefully this list gives you some direction on how to market your business and get the visibility you deserve. Anything worth having takes time - and marketing is no different. While it's tempting to rush the process, the more time you invest in a marketing process now the less time you'll spend scrambling for clients in the long run. Struggling to come up with the right marketing plan for your business? Email me at michelle@vroomcommunications.com and let’s troubleshoot!